INTERESTING that Wayne Rooney has been granted a testimonial for his long service to Manchester United. Equally fascinating is the sub-text that the proceeds will be going to charity, a gesture that will win Rooney heaps of praise. However, are we not missing the point here? The public will, effectively, be “donating” the money that gets given to charity, not Rooney. Doubtless there will be a huge Old Trafford crowd watching a meaningless game with a couple of guest players, undoubtedly there will be blanket coverage of the event and Rooney will be portayed as the caring, sharing family man. But the “point” is – why give Rooney the testimonial that raises the money in the first place? Rooney is donating – surely there will be tax benefits somewhere in there – money that the public has given him in recognition of his “service”. And there’s another questionable tag – “service”. Rooney earns 10 times the national wage in a week. He has not had to endure servitude in any shape or form. 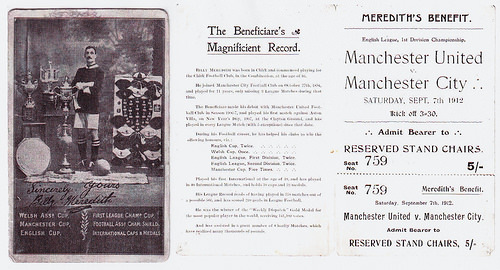 Testimonials were introduced to reward players for long-service and to enhance their income in an age when, after their playing career, their earning power would diminish. Furthermore, club stalwarts were often at a disadvantage because they never benefitted from a 5% transfer cut or the “golden hello” often afforded to new signings. Long-serving players were invariably taken for granted. A testimonial was a way to say “thank-you” and to give that burly centre half of 400 games a good send off before becoming landlord at The Kings Arms. Today’s players are so well-paid and plugged into commercial opportunism that the concept of the testimonial is tasteless and unnecessary. Then somebody – probably marketing gurus or accountants – thought of the Corporate Social Responsibility angle. “Hey, you can look good here. All that money that comes through the gate? It’s peanuts for you, Jimmy, but you can donate it, improve the image of you and the club”. A good career move. If Rooney, or anyone else for that matter, wants to really look good, they would put on a free match, invite donations or underwrite it themselves. It is not players that need hand-outs at his level, but the fans – the people that pay inflated admission prices that improve shareholder value and ensure ridiculous wage bills are maintained. The gas fitter from Salford earning 30k pays out vast sums to keep Rooney and his like in clover. The poor paying the rich. Robin Hood in reverse. Cynical? You bet. Sometimes, football needs to look in the mirror and see who’s kidding who. Incredibly, the announcement said the fans had requested that Rooney be awarded a testimonial, but if Manchester United’s loyal following had any sense, they would be asking their club, “why?”. Couldn’t agree more. The whole thing’s even more puzzling in light of our Wayne’s fractious relationship with Fergie, the club generally (re his holding them to ransom) and Utd fans in particular following his repeated flirtation with the Blues along the Ashton New Road. And, he’s just 30….not 34 or 35, and about to retire. Expect part deux not so far down the line – perhaps back at the Toffees.